Jan 27 cheese knives: how do you use them? #1: This is a 'half-heart' or pear-shaped knife, used for cutting chunks of hard cheese such as Parmesan. Start with the tip of the knife when you start cutting to reduce crumbling. #2: The wide knife is used for shaving firm cheese or serving crumbly cheese - think blue cheeses - on its large surface area. #3: The cheese fork is versatile and good for serving soft to firm cheeses, holding a block of cheese in place as it's sliced, and for breaking apart hard cheeses that are meant to crumble. #4: The rectangular cheese knife is used for serving soft to semi-firm cheeses; the sharp edge will cut and the flat surface serves. 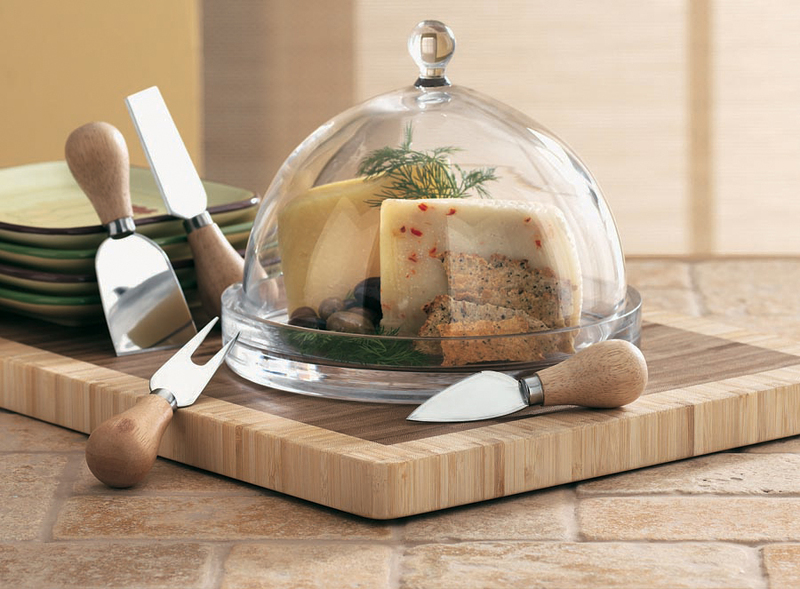 try a pretty cutting board and glass dome to wow your guests! all products made by tag. Jun 4 7 things every new home needs... and wants!